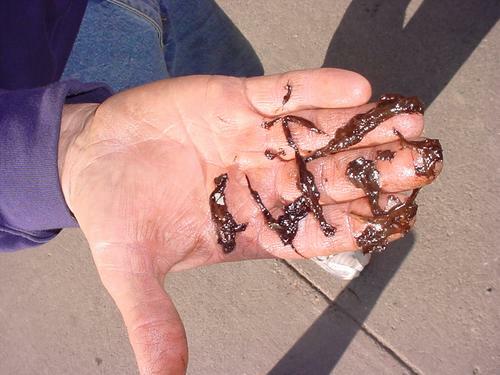 Diesel bug is essentially the result of a type of bacteria that is present in Diesel and Bio Fuel. While in itself it isn’t a problem, as soon as the fuel becomes contaminated with water the bacteria, or bug, is able to breed. 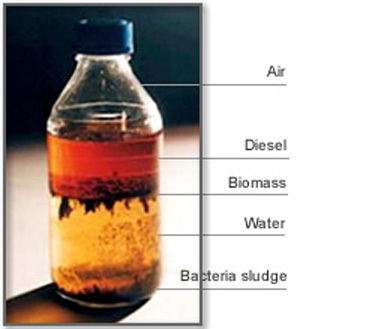 Unfortunately, Diesel and Bio fuel are hygroscopic, meaning they have the ability to collect and absorb water providing the perfect breeding ground for bacteria or ‘Diesel Bug’ to multiply, causing many different problems that can affect performance and the efficiency of Diesel and Bio fuelled machinery, equipment and marine craft. Water can enter diesel storage and fuel tanks either directly through leaking fittings and vents as well as from the air or as condensation in the tank. This allows the bacterial bug cells to multiply – at a rate of 2 million times in 24 hours. After breeding, the ‘Diesel Bug’ dies within 48 hours, falling to the bottom of your fuel storage or operational tank, where the remnants sit as sludge. However, the answer to the question ‘what is diesel bug?’ isn’t that simple. Additionally, the uptake of water in your fuel supply can also cause a build up of other, similarly harmful algae and microbes – all of which will join the diesel bug slurry in clogging up the fuel system and creating blockages and damage to your vehicle, boat or machinery. Getting rid of diesel bug is essential if you’re to be unable to rely on your fuel supply and have a desire to limit risk to your engine. For businesses, especially those with large fleets of vehicles, the potential costs of these issues can soon add up to a significant amount of money. Worse still, a breakdown at sea or on fast flowing water due to a blocked filter can be dangerous and even life threatening. As the percentage of bio content in fuel increases, so too will the problem of ‘Diesel Bug’. In order to stop this problem you need to ensure ‘dry’ fuel is always in your fuel tank, by regularly filtering out water and contaminants – which is where DCAPS comes in. DCAPS equipment will remove all water, rust, slurry and contaminants, including ‘Diesel Bug’, leaving your fuel tank containing clean, dry, ‘polished’ Diesel or Bio fuel. Uncontaminated fuel is returned to your tank with no wastage, so you don’t lose any of your precious Diesel or Bio fuel. By getting rid of ‘Diesel Bug’, your fuel is ready to power your engine in a more efficient way – leading to better fuel economy, less emissions and reducing the potential of expensive engine damage.